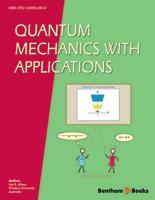 This eBook contains the lecture notes that Iraj Afnan produced for students who were taking his two-semester course on quantum mechanics. In 1990 I had the privilege of taking the class that covered the second half of this material. Those lectures were given to Flinders University Physics students who were in the last year of their undergraduate training. It is a testament to the sophistication of Iraj’s presentation that the content of that course covers the curriculum of many first-year graduate classes on quantum mechanics at US institutions. As Iraj points out in his preface, the way he taught the subject emphasized on computation of the observable consequences of the theory over derivations, theorems and philosophical issues. This was of great benefit to the students who took his course, since we learnt how quantum calculations are really done. These notes show how to start from first principles and use the formalism of quantum mechanics to elucidate the consequences of the theory for various systems. The symmetries of nature also play a prominent role in Iraj’s treatment, and respect for those symmetries was something that he inculcated in all his students. The powerful way in which the quantum theory describes the sub-atomic world is thus brought home to the reader throughout the text, especially as Iraj draws his examples and problems from many subfields of physics: condensed-matter, atomic, molecular and nuclear. But, Iraj is, as usual, too modest about his own achievements. Although his writing does not lay excessive emphasis on the formal structure of the theory, his deep understanding of quantum mechanics means that its beauty still shines through. Iraj always said “Ugly physics is bad physics”, and it was a maxim that he lived out in his carefully crafted, finely honed, fifty-minute expositions of a topic. Indeed, Iraj would amaze his class by barely glancing at these notes (which he had given us typed copies of at the start of the semester), while presenting an elegant derivation that stretched over the entire lecture period. He would carefully cover several blackboards with systematic calculation in his very neat handwriting, without having to erase anything or correct himself. Iraj was able to do this because he knows the quantum theory inside and out. That knowledge, gained as a practitioner and outstanding researcher, makes his insights into the subject very valuable. I did my Ph.D. under Iraj’s supervision between 1992 and 1995. Whenever I got stuck in my research I would often turn to these notes from his quantum-mechanics course and so force myself back to basics. A few years later, one of the research papers I wrote while a post-doc had its genesis in the derivation of the effective-range expansion is presented in Chapter 14. Indeed, my research on effective field theories for nuclear physics has been significantly shaped by the excellent presentation of scattering theory and separable potentials that are provided here. I have found that if my own Ph.D. students can master the material presented in this eBook then they have a thorough grounding which they can use to read many key research papers on the theory of few-body quantum systems. I am delighted that the new medium of the eBook is allowing Iraj to share his careful and clear presentation, as well as his unique insights into the subject, with a broader audience. I am sure that readers of this text will benefit greatly from his wonderful exposition of quantum mechanics. The present set of lecture notes are a byproduct of lectures given by the author to undergraduate students at Flinders University over the period of 1970 to 2004. The material in the lecture notes (eBook) was to cover a two semester course. The first semester, at second year level, consisted of two lectures plus one tutorial per week for a period of thirteen weeks, while the second semester, at third year level, was given at the rate of three lectures plus one tutorial per week. The aim of the lectures was to bring the students to a level that would allow them to read the literature in atomic, molecular and nuclear physics and be able to perform some simple calculations based on the non-relativistic quantum mechanics for one- and two-body systems. With the limited knowledge of calculus, the first semester concentrates on systems in one dimension with extensive applications to atomics, molecules, solids and nuclei. In Chapter 2 we review classical mechanics and the role of space symmetry in conservation laws. Although this chapter is not a prerequisite to later chapters, it gives the students an insight into the relation between classical and quantum physics. The emphasis in the following chapters is to illustrate the mathematical structure of quantum mechanics with examples rather than mathematical proofs. The first semester brings the students to the level of writing the Schrödinger equations for central potentials, e.g. the Coulomb potential. The second semester of the course commences by considering the solution of the Schrödinger equation as a second order differential equation for simple potentials that admit analytic solutions. This allows us to study the properties of many of the special functions encountered in problems in atomic and nuclear physics. These functions are then used in the application of quantum mechanics to problems in atomic and nuclear physics. The Dirac notation is introduced more as a shorthand notation than as a treatise on Hilbert spaces to understand the importance of the different representations of the Schrödinger equation. Since the symmetry plays a fundamental role in the simplification of problems encountered in quantum physics, a chapter is devoted to space symmetry and the corresponding conservation laws with emphasis on rotational symmetry. As most problems in physics require the introduction of approximation methods, a chapter is devoted to time independent perturbation and variational methods. The last chapter concentrates on the scattering theory based on the Lippmann-Schwinger equation. Here, the solution of the Lippmann-Schwinger equation is illustrated by considering a rank one separable potential for which one can derive an analytic solution for the scattering amplitude, bound state and scattering wave function.